A foundation created last year to shepherd Bitcoin's software development has received a stern warning from a California financial regulator. The state's Department of Financial Institutions (DFI) warned the Bitcoin Foundation in a May 30 letter that it is a violation of state and federal law to be involved in money transmission without registering with the U.S. Treasury or California's Commissioner of Financial Institutions... even though the nonprofit Bitcoin Foundation isn't a Bitcoin exchange. California's DFI oversees banks, credit unions, money transmitters and issuers of payment instruments. The letter, signed by Senior Counsel Paul T. Crayton, does not accuse the Bitcoin Foundation of violating laws but says the regulator thinks it "may be engaged" in a money transmission business without a license. Entities lacking a license could be fined up to $1,000 per violation or $1,000 per day under California law and face criminal prosecution, the letter said. Wide interest in the virtual currency has raised questions how handling bitcoins intersects with existing financial regulations, which often do not directly address virtual currencies. In March, the Financial Crimes Enforcement Network (FinCEN), which is part of the U.S. Treasury Department, said companies that allow people to sell and buy virtual currencies are required to register. 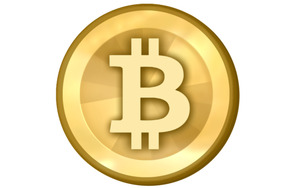 Users of virtual currencies, however, are exempt. The Bitcoin Foundation, which is based in Seattle, was established to promote the currency and help guide the development of software programs. 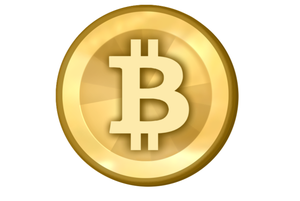 It sells individual and corporate memberships for the foundation, but it does not sell or trade in bitcoins. The warning from the regulator, posted Sunday on Forbes by Jon Matonis, who is secretary of the Bitcoin Foundation, shows the keen interest regulators are beginning to take in Bitcoin even though its economy is still small. Efforts to reach the Bitcoin Foundation were not immediately successful, but Matonis wrote that "one activity that the foundation does not engage in is the owning, controlling or conducting of money transmission business." The foundation's warning comes just over a month after the largest bitcoin exchange, Mt. Gox, had its U.S. account seized. Mt. Gox, which is based in Tokyo, was the target of a seizure order issued by the U.S. District Court in Maryland for failing to register as a money-transmitting business. The exchange used an account linked with Dwolla, a payments company, to transfer money from U.S. citizens to Japan, although Dwolla was not accused of wrongdoing.